[TAHITI] I[le]. Taïti. Le C.A. Dupetit Thouars faisant amener le pavillon taïtien et prenant possession au nom de la France. 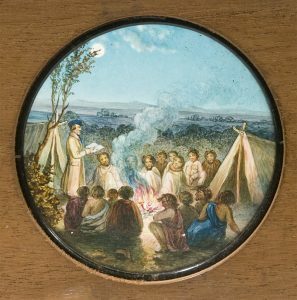 European missionary preaching to a group of indigenous men (possibly Māori). 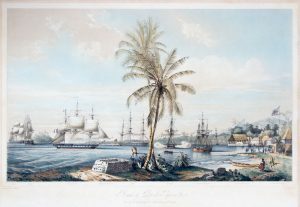 [TAHITI] Rade & Port de Pape-Iti. 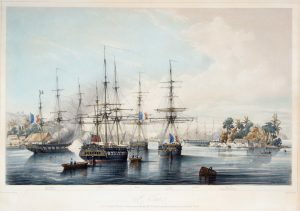 Arrivée au mouillage du C. Amiral Dupetit Thouars. 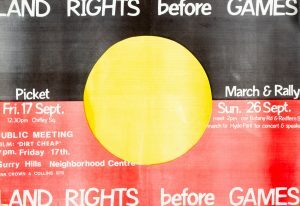 [POSTER] Land rights before games. 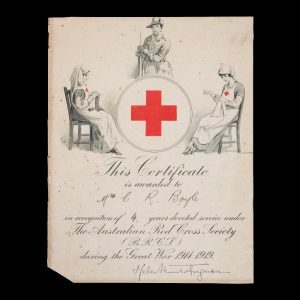 Australian Red Cross Society certificate recognising service during the Great War, 1914-1919. Giclee colour print, titled ‘Ex Libris Douglas Stewart’, 195 x 125 mm. Created 2014. Bookplate for bookseller Douglas Stewart by noted Australian artist Andrew Sibley. 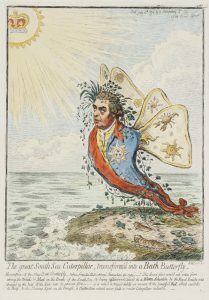 [Title from caption in image]. [s.l. : s.n., probably between 1910 and 1920]. 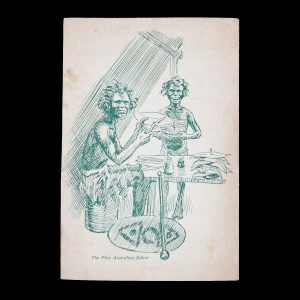 Lithographically printed satirical cartoon, 165 x 110 mm, printed recto only in green on buff card; a few light marks to the margins, else very good. 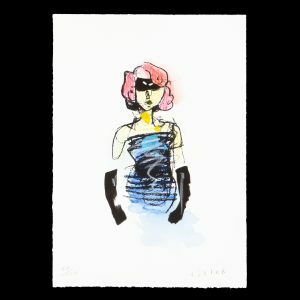 Screenprint hand finished with ink and watercolour, 297 x 210 mm, signed and numbered, dated 2014, accompanied by the original certificate of authenticity as issued signed by the artist. New York : The Metropolitan Museum of Art, 2011. 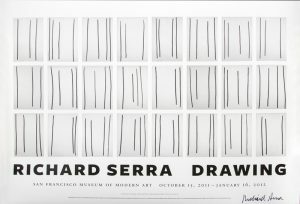 Poster for the travelling exhibition Richard Serra Drawing: A retrospective, organised by the Menil Collection, Houston, 690 x 920 mm, signed at lower right by the artist. Unframed; fine. 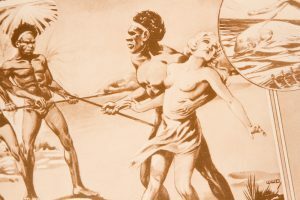 [Melbourne : Australian Print Workshop, 2018). 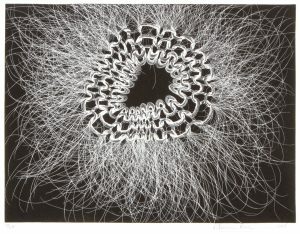 Etching, 145 x 195 mm (image), 255 x 290 mm (paper), edition 17/20, signed lower right. An exquisitely detailed abstract organic work by noted contemporary visual artist Patricia Piccinini. 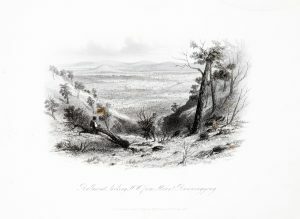 Exhibited : Impressions 2018, Australian Print Workshop (the edition sold out on opening night). 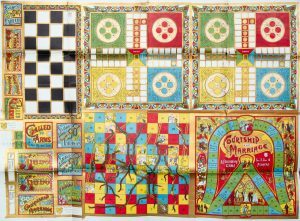 National Game Company lithographed printer’s proof for board games. Gold rush. 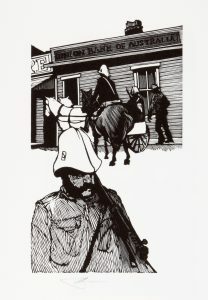 Twenty-five wood engravings by Barry Moser on a theme of the discovery and mining of gold in America, Africa and Australia. 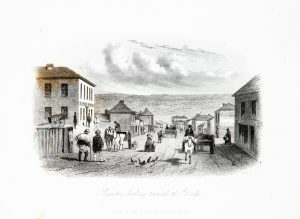 GILL, Samuel Thomas (1818 - 1880); TINGLE, J.